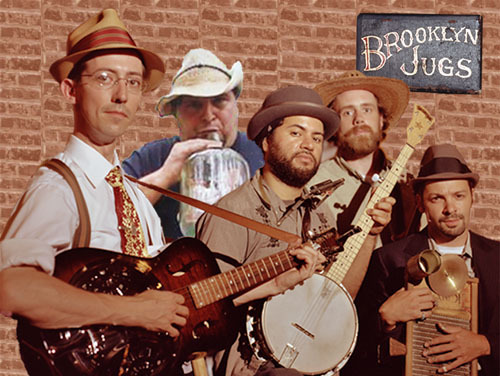 From the Brooklyn Bridge to Coney Island, the Kosciuzco Bridge to the Boardwalks of Coney Island, The Brooklyn Jugs have brought you that toe tapping beat of old time blues and jug music. Staunch supporters of boozin', lovin' and makin' rent. Smile when you 'think bout em'!!! Watch a SLIDE SHOW while you're enjoying our music!!! We gave the GALA FESTIVAL FINALE* performance!!! Alex Battles did some jammin' with us on banjo ! Watch the PHOTOSTREAM . . .
and the SLIDE SHOW . 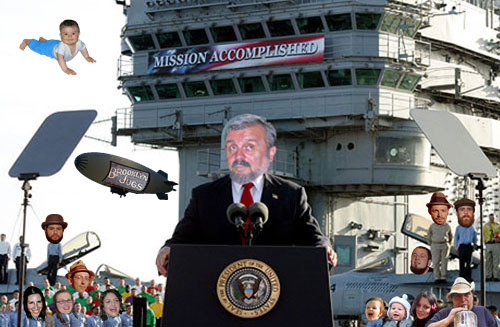 . .
and Short Stryde Clyde do Flapdoodle . . .
and I Put A Spell On You ! But first... Morejon and Sidesteppin' Arturo (a.k.a. Everyone loved the GLORIOUS POSTER!!! There was: ONE MORE LAST PERFORMANCE!!! We just never get enough . . .
but keep trying . . . and listening . . .
and wanting more . . . Thanks for visiting us and reading all the way down to here . . . Hover over folks for monikers and Facebook links!